I was looking throughout this site and noticed there wasn't a thread for this! Let me start with a few pics of highways in London, my hometown. All photos by me except the last one which was taken by Adam Colvin. Despite all the highways in the area, London is the largest city in North America that does not have a freeway to serve 'local' traffic. The Veterans Memorial Parkway is planned to be upgraded to a freeway at some point, however it won't be for another 20-30 years. Last edited by haljackey; May 17, 2014 at 3:25 PM. Despite all the highways in the area, London is the largest city in North America that does not have a freeway to serve 'local' traffic. I wasn't aware London was larger than Vancouver, what a growth spurt! I always thought that Winnipeg was larger than London too (and no, the Disreali doesn't count). Winnipeg's still considerably larger than London . Vancouver most definitely has a major freeway running through it so I'm not sure where that comment comes from . Giving you a reason to drink and drive since 1975. Wow, I didn't know all you guys didn't have highways in your cities. - Even Hamilton, which is about the same size as Winnipeg, has 4 (major )highways running through it and around it. - Very scenic highways I might add as well. - The LINC, and Red Creek are very nice. 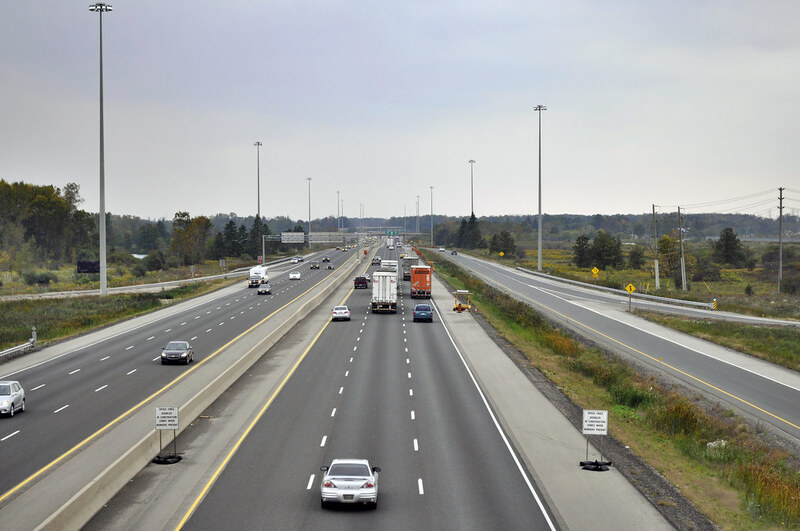 One thing I learned the first time I drove through southern Ontario - that region has far, far better freeways in the cities than the rest of the country. I'll never forget my first time in K-W, marveling at what seemed like insane freeways for a city of 3-400,000 (at the time). Compared to places like Winnipeg, Calgary or Edmonton, which were more than twice the size yet had nothing on that level. I realized as I got older than things were a bit more complicated, but at the time it sure reinforced my western stereotypes of "Ottawa spends all the money in S.Ontario and ignores the west". Seriously - to this day Winnipeg has nothing even remotely comparable, and Edmonton/Calgary are just getting to that point over the last 5 years or so (Deerfoot had traffic lights on it as recently as 6 years ago). Hamilton at least made sense given its proximity to Toronto etc, and the fact that it's the corridor to the US and Niagara. But K-W just seems so "out of the way" to have a couple of major freeways servicing it. At least from a western perspective. It felt very American - every town over 10,000 people has a freeway in it if you stick to the Interstates. I'm just going to pop in and say freeways are disgusting and a detriment to a city's urban fabric. ^ exactly. I am not sure why NOT having freeways in a city would be considered a bad thing? There is definitely a such thing as building too many highways and implementing them poorly into the urban fabric, but there is also a such thing as building necessary highways that benefit the urban area as a whole. So please, the same way I hate it when people turn cycling threads into a black and white issue / debate, don't turn this thread into a black and white debate. Because without them, heavy truck traffic has to go through the city itself, and that is also detrimental to the urban fabric. A city councillor here proposed banning trucks from Highway 102 to keep them out of a residential area, but that would funnel them through a village of 1,000 people 20 miles west, so now people are saying we should build a by-pass north of the city so that cross country trucks don't have to go near the urban area at all. All of these have been proposed in some form for 30 years. Look at a map, it just cuts through a tiny corner of Vancouver. Besides the original contention was "that does not have a freeway to serve 'local' traffic". This tiny stretch of the TCH most certainly does not serve local Vancouver Traffic. Generally, it's better to have truck traffic skirt the periphery of a city. Lots of traffic is just passing through, and if it isn't, truck warehouses aren't usually located downtown anyway. Trucks go to their warehouse, and then smaller vehicles usually redistribute goods to points within the city. That by-pass north of Thunder Bay looks like a good idea. Cross country traffic doesn't need to detour into Thunder Bay, Thunder Bay is spared congestion, and the city is still linked to the Trans-Canada Highway. For a city of ~135,000, Moncton has a fairly impressive highway network. It also has the interesting distinction of having a divided freeway that terminates at a traffic circle at both ends, as well as several at-grade railroad/freeway crossings. For the most part, the traffic in the city is fairly functional, but it does have issues. For starters, our airport is only accessible from one side of a highway, and travelers need to find an alternate route or go around a cloverleaf to get back. Hopefully that'll change though. As well, there are a couple of long stretches with no exits/on-ramps, meaning a lot of traffic stays on surface streets that could flow a lot more efficiently with proper highway access. "When you go home tonight, there's gonna be another story on your house! " But K-W just seems so "out of the way" to have a couple of major freeways servicing it. At least from a western perspective. It felt very American - every town over 10,000 people has a freeway in it if you stick to the Interstates. 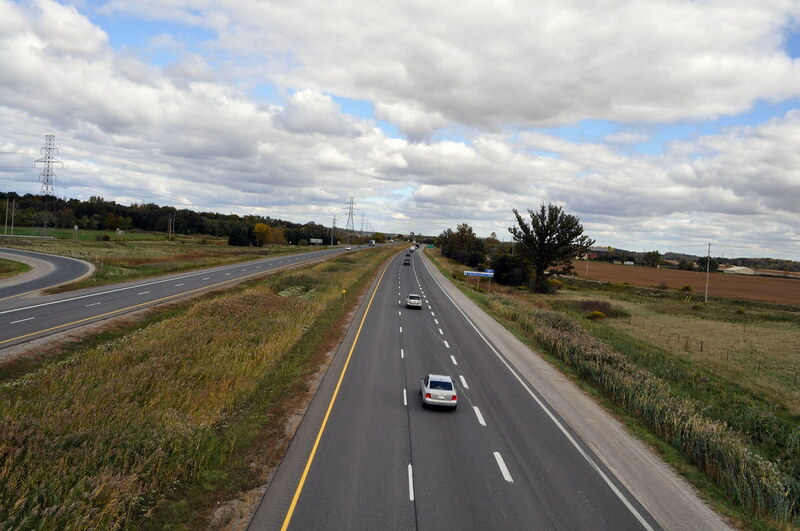 Kitchener-Waterloo only has one "freeway" (Conestoga Parkway) which services the city on a west-to-east at the south end of Kitchener, and south-to-north along the east side of Kitchener and Waterloo. 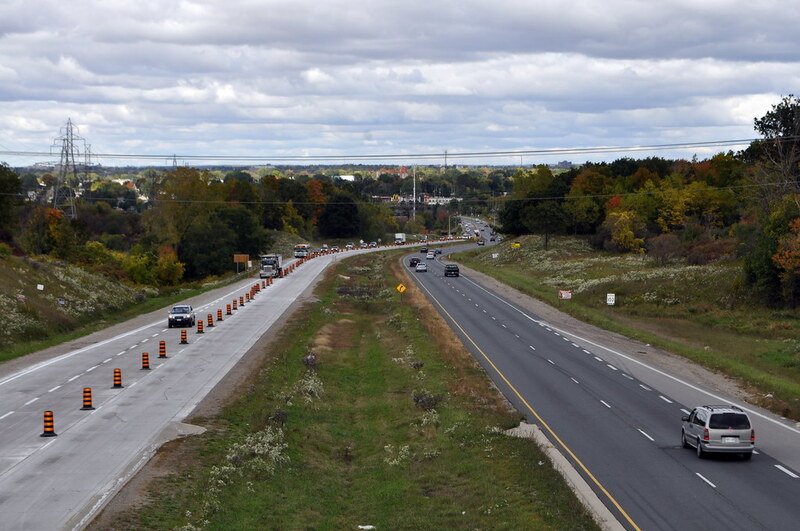 The 401 is in close proximity (running west-to-east essentially dividing Kitchener and Cambridge. 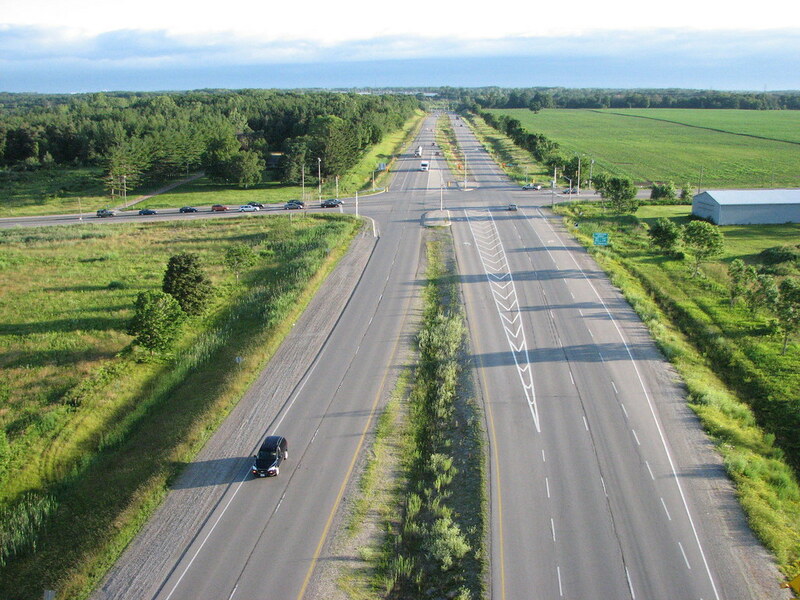 While the 401 can be used to go from certain parts of Kitchener to certain areas of Cambridge, it is not a freeway which is dedicated to the area, other than to connect it with the other major cities in the corridor. Another point. I don't know how much time you've spent in K-W, but in case it hasn't been much, the street layout in this city/cities is beyond bizarre! Two of the main streets which run parallel to one another almost throughout both cities, cross one another TWICE in Waterloo, and then marge without notice in Kitchener. While I don't drive, it is undeniable that the "Expressway" (as it is locally called) enabled the region to become much more prosperous. Hopefully we can get the LRT happening, and improve the area even more. Well, there is a vast amount of heavy industry in Southern Ontario, notably an auto industry that requires reliable, just-in-time delivery of parts from numerous suppliers located (or at least, that were located) in dozens of towns and cities in the province. Winnipeg at least has a ring road....London doesn't even have that. Traffic in London is horrendous. Kitchener and Windsor have crosstown expressways and the traffic flow in those cities is so much better despite all being around the same size. However, Winnipegs is not really meant for local traffic. It's completely a bypass road. Or at least that is what I got from looking at the maps and driving through. I can't imagine it being used for local traffic until the city fills in the entire circle... which will be so so so many years from now. Winnipeg doesn't have any major expressways serving the local traffic in and out and around communities within. I am actually impressed with Regina's ring road. Albeit not the best designed road out there, it does it's job fantastically. Without it, our city would be in constant gridlock. That, combined with the Lewvan expressway; makes for a good half assed circle that works phenomenally for our little town. Oh Weber St.. Sooooo confusing. Not to mention the main street (King) has a King St N, King St S, King St E and King St W. The road does not go in a circle. Planning in KW is so odd in the sense that it's a grid in both Kitchener and Waterloo, but one grid is the typical N-S, E-W grid, and then move into the other municipality and it looks like an 'X'..
Also, the Conestoga Parkway is one (I know it as 85), but wouldn't you also include the 8 as an expressway? What are you talking about ? Seriously , do you live in some alternate Vancouver or something ? How can you look at a map and NOT notice the freeway running through the city ? If a "tiny corner" equals about a third of the Vancouver metropolitan area and pretty much everybody in the lower mainland then I think you need to look at a dictionary . Of course it serves local traffic ... who else would it serve ? You can't exactly argue that people are just passing through Vancouver on their drive to ... the Pacific ocean ? It doesn't go around the city , it goes through it and while it doesn't go directly into the CBD it gets reasonably close .